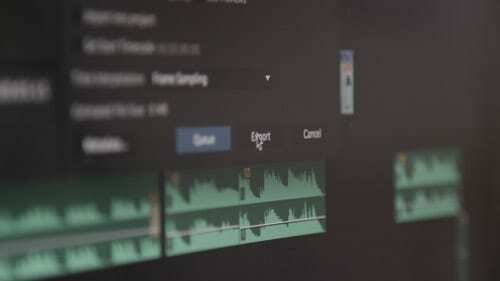 We’ve just helped out a local sound studio with an encoding solution. A client brought them a DVD that they were synching some music to. Unfortunately, they couldn’t encode it through Pro Tools. Luckily, our Avid system could, which saved them having to go back to the client to ask for another version of the material. Plus, of course, all the time savings. Encoding is an incredible trick art, with so many different codecs. It’s why we always ask to speak to the final user of clip. The size and format we encode to totally depends on how and where they are going to broadcast the final video. Encoding (and rendering) can take a considerable, so it’s best to get it right first time! Anyway, this was a simple but satisfying job!